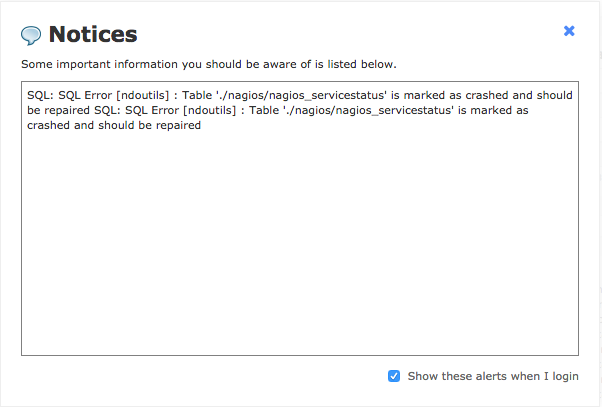 NagiosXI – SQL: SQL Error [ndoutils] | Tech Kaki | Tips and Tricks for Mac OS X, Windows, Linux, Virtualization, Open Source software and etc. This entry was posted in centos, Linux, Nagios, Open Source by @HKw@!. Bookmark the permalink.